We know that there are two types of connection series and parallel. Series circuit is one in which current remains the same along each element. Now we will talk about LCR circuit. The LCR circuit analysis can be understood better in terms of phasors. 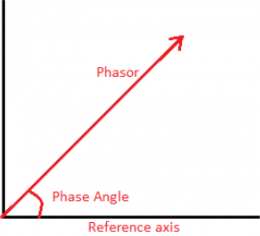 A phasor is a rotating quantity. For an inductor (L), if we consider I to be our reference axis, then voltage leads by 90° and for the capacitor the voltage lags by 90°. But the resistance, current and voltage phasors are always in phase. 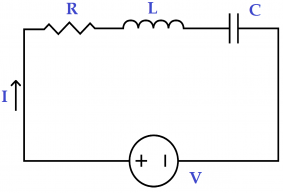 Analysis of an LCR Circuit – Series Circuit: Let’s consider the following LCR circuit using the current across the circuit to be our reference phasor because it remains the same for all the components in a series LCR circuit. Depending upon the values of XL and XC. If XL > XC, then tanφ > 0 and the voltage leads the current and the circuit is said to be inductive. If XL < XC, then tanφ < 0 and the voltage lags the current and the circuit is said to be capacitive. If XL = XC, then tanφ = 0 and the voltage is in phase with the current and is known as resonant circuit.